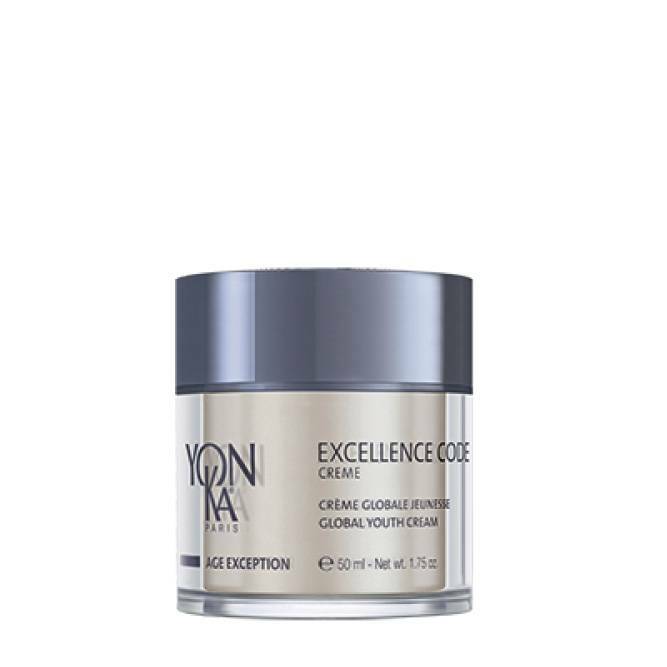 Mature skin, made fragile by hormonal changes, will come alive thanks to this luscious and comfortable cream which fights the visible signs of aging: dryness, loss of firmness and brightness, wrinkles and discoloration. It associates a powerful combination of the best anti-aging ingredients with the exceptional rejuvenating & restoring properties of the Immortality Herb. Result: your skin looks visibly younger, smoother, firmer and plumper, wrinkles fade away and your complexion is brighter and unblemished. Immortality herb, cistus, co-enzyme Q10, avocado and grape seed oils, shea butter, hyaluronic acid, thistle, silicon-amino acid complex, yeast and nutgrass extracts, complex of bamboo silica, pea extract, glucosamine, red algae extract, solomon’s seal, arnica, cypress, essential oils of bergamot, lemon, mandarin, rose, tonka bean and guaiac wood, Quintessence Yon-Ka*, vit. A, E.